Adding to the excitement of their first day back, the children of Leesland Church of England Infant and Junior Schools in Gosport recently welcomed Naval Officers to their school. 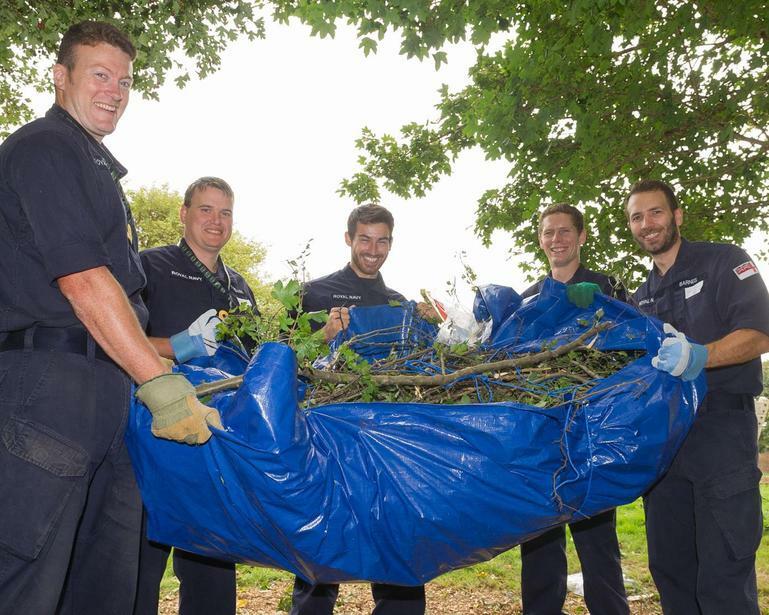 Trainees from the System Engineering and Management Course (SEMC) at HMS Collingwood in Fareham travelled to the school to help clear areas of the garden at the start of the new school year. 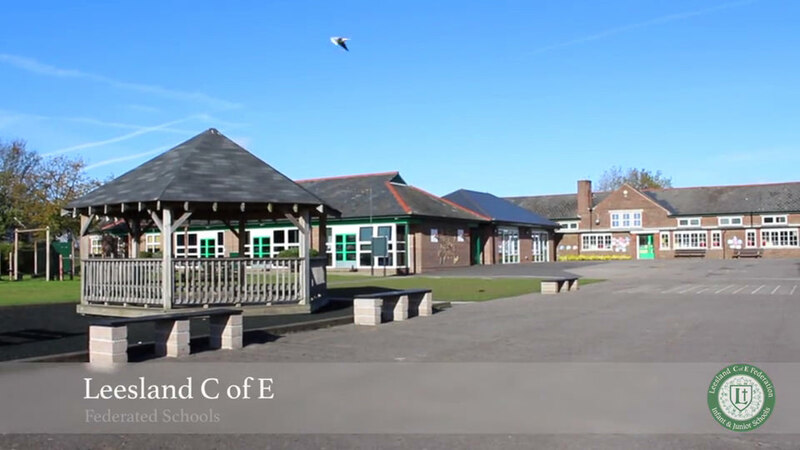 One group tackled an overgrown copse of sycamore and hawthorn trees, cutting down branches to create an outdoor space where the pupils can learn about conservation and study the bugs that thrive there. Another team tackled weeding at the front of the school to improve the areas facing the road and yet another built a compost bin, varnished a wooden sculpture and took the tree clippings off to the local recycling centre. 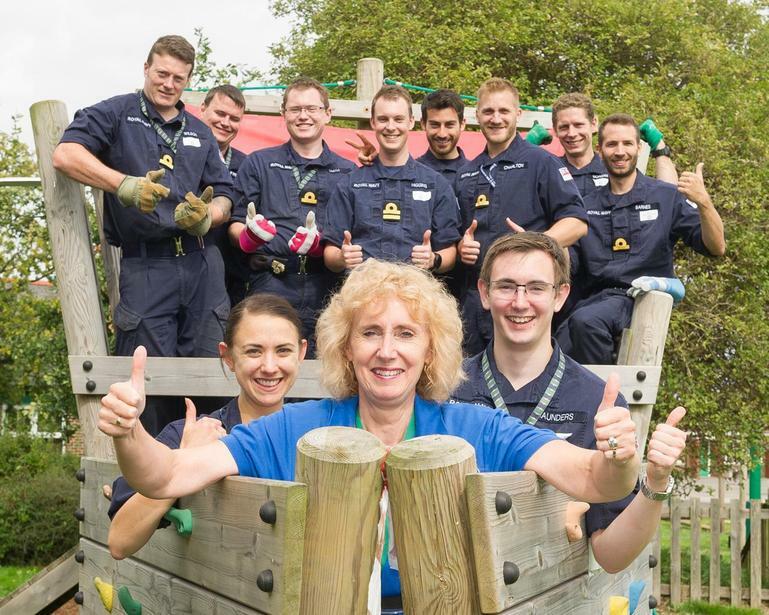 Getting involved with community projects such as this, provides the trainees with welcome relief from the demands of engineering management back at HMS Collingwood. These projects are one way for personnel from the establishment to engage and offer support with initiatives in the wider community. To say “thank you” to the sailors, the school invited them to lunch with the pupils which proved immensely popular, even if the child-sized chairs proved an issue for some of the taller trainees! Following their contributions to Leesland Church of England Federation, the SEMC students now return to the classroom at HMS Collingwood, as they prepare for their forthcoming assignments as Weapon Engineering Managers at sea. Photos courtesy of Keith Woodland, Crown Copyright.